Charlie and Jenna managed to get past the early days of their relationship where there were drug issues, which were cleaned up before their marriage, some twenty years ago. During their time together they had some success professionally and where able to live in a nice brownstone in Boston. They were not rich, but they were not uncomfortable. Now in their fifties, Jenna has done something Charlie can't quite get over. In one very strange and twisted night, Gifune takes the reader on a journey to some very dark places. Past, future and present. The story is well written and makes for a quick, enjoyable read. I was left a bit confused by a couple of passages. At one point Charlie's last name is referred to as Cerrone and at the end of the story, Jenna's last name is Charceen and she refers to Charlie as Errol. I just can't figure out what happened there. If you read the book, and I'd definitely recommend you do so, let me know if you can shed any light on my confusion. Available as an e-book from the usual sources. The limited edition, signed hardcover from Darkfuse Publications, specialty press, Delirium Books is sold out. A while back I decided to re-read Stephen King's opus, The Dark Tower. The idea was to get to the end of book 4 just in time for the release of the new DT novel, The Wind Through the Keyhole, which takes place between existing books 4 and 5. Mission accomplished. I originally read Wizard and Glass, 15 years ago, when it was first published. At the time, I didn't particularly like it. I felt it did little to advance the story and I had a difficult time in getting past that aspect. In retrospect, I now feel this is arguably the best of the lot with the riddling contest between Blaine the Pain and our Ka-tet, and the telling of the story of Roland Deschain's tragic affection for Susan Delgado. This tale is told, presumably, in a single night, around a campfire in some reality of Kansas where people, at one time, drove Takuro Spirits and drank Nozz-A-La cola. By the time Stephen King wrote Wizard and Glass he had been perfecting his craft for more than 20 years. He was a much better writer in 1997 and it shows. The adventure is grand and the characters are unforgettable. If you are already a Dark Tower fan, you know all this. If you've never been to Mid-World, it all starts with The Gunslinger and there is no time like the present to start your own quest to The Dark Tower. Stephen King's Dark Tower novels are available everywhere and will be for years to come. 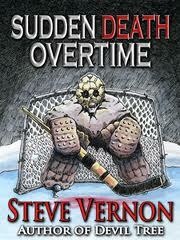 Sudden Death Overtime - by Steve Vernon - Fun on ice! A group of old men, who played hockey nearly all of their lives, take on the occupants of a mysterious black bus. This fun little novella shows just how tough hockey players are. Especially when they're armed with garlic and broken hockey sticks, as stakes. Set in Labrador, in the province of Newfoundland - hockey country, for sure. I figured this would be fun between playoff games for Lord Stanley's cup, and I wasn't wrong. Plus, any story which mentions Gordon Lightfoot's classic, "The Wreck of the Edmund Fitzgerald", is OK in my book. Available from Crossroad Press or you can get it for free for your Kindle if you have Amazon Prime and want to make it this months selection from the Kindle lending library. 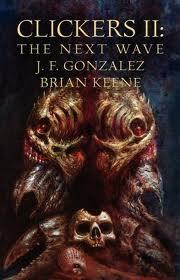 Clickers II: The Next Wave - by JF Gonzalez and Brian Keene - Here they come again! Many times sequels don't measure up to the original, sometimes it's best to leave a successful book stand alone. I'm so glad that this is not the case here. Clickers, originally published in 1998, was such a fun read I never expected the follow-up to be as good, but honestly it was even more entertaining than the first installment. This time, JF Gonzalez teamed up with the legendary Briane Keene. A match made in Horror Heaven or would it be more appropriate to say Horror Hell? The two writers compliment one another extremely well, bringing back those crab-lobster-scorpion things known as Clickers and their scaly conterparts, The Dark Ones. The Clickers are bigger and The Dark Ones are smarter. It's a number of years later and amidst another Category 5 Hurricane the action begins and the attack is fast, furious and much broader than before. Colonel Augustus Livingston, retired, is called back to active duty. He was in Phillipsport, Me to lead the clean-up after the original invasion some years ago. I genuinely liked this character, he's fed up with bureaucracy, as many of us are, and gets to speak his mind and take action. Rick Sychek, who also survived the original attack (and has been living under an assumed identity ever since) is also back and brought into the middle of things despite his desire to be as far away fron the invasion as possible. The president of the U.S. is key to this story and I won't say more, because I don't want to spoil it for you. But, he's certainly memorable. Clickers II: The Next Wave won't disappoint. It was just plain fun to read. I would certainly recommend you read Clickers first and there at 2 more books in the series. There are no cliff-hangers per se, so far the two stories compliment one another very well. Available in both paperback and on the Kindle at Amazon.com. 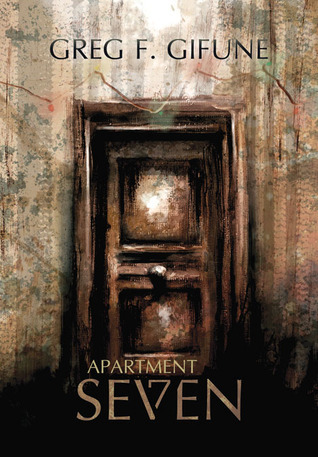 A novelette from one of the finest writers working in the Horror genre today. Kealan Patrick Burke's work includes Currency of Souls (which I loved) and more recently, Kin, which is on my "to be read" list, as well as the Bram Stoker award winning novella The Turtle Boy. The Grief Frequency is about the aftermath of a terrible automobile accident where Paul's wife Caitlin is killed. Paul is deeply distraught and, to make it worse, his Father-in-law, Bill, blames him for the accident. In a way, Paul is haunted by his wife and all this pressure causes him to take actions that lead to terrible consequences. What makes this such a great story is the telling of the tale. 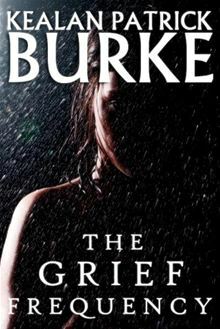 Burke deftly takes us into the grieving mind of a man who loved his wife with his whole being and we get to see what happens as he slowly unravels when he learns more about her condition. You may have heard stories before about deals made at the crossroads. Often providing wealth or talent in exchange for ones soul or other valued possession. "The Devil Went Down to Georgia" by the great Charlie Daniels Band is a variation on the theme. Here, Edward M. Erdelac crafts an wonderful story of Harpoon Elkins who makes his way to Chicago, up from Quito, Mississippi. He meets a mediocre bluesman who goes by King Yeller. King convinces the young man to take him to a place he knows as "The Crossroads". A deal is made with the "Shadow Man" and the ensuing events make for a short, but beatiful read. 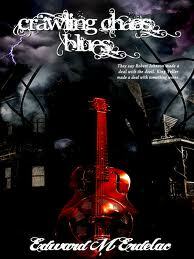 The writer really takes you to the heart of the Mississippi blues. You get to see and feel what the characters are expeiencing and it's certainly not sunshine and roses. Short on pages at 24, but long on impact. Available for the Kindle reader from Amazon.com. Last year, I read Primitive by JF Gonzalez. Loved it and once again, I've had a great time reading one of his books. This one was based on an idea of, and co-written by, Mark Williams, who passed away prior to publication. Whoever gets the credit, it's all well deserved. The writers take a B-Movie premise and fill it with believable characters and plenty of action. When dealing with crazy creatures like the ones found in this work, it's easy to fail with a back-story that doesn't work or doesn't exist at all. Not the case here, although it's "out there", I found it easy enough to suspend my disbelief and enjoy the telling of the story. Rick Sychek, is a budding horror novelist who heads to a friend's property in Phillipsport, Maine to begin his next work. He never gets any writing done. Instead, before arriving he runs over something in the road which causes him to lose control and crash into a huge pine the locals call Ol' Little Feet. Through the course of the story the authors do a fine job with introducing the reader and Rick to a number of locals. (Hint: Don't become attached to anyone). The combination of an epic storm and the repeating of events from long ago culminate in three days no-one will forget. That is if there is anyone left to remember. A wild ride, with plenty of gore, none of it gratuitous. Definitely not for the fainthearted or younger readers, but a great way to spend a few nights with the light on. Available in both paperback and on the Kindle from Amazon.com. Iain Rob Wright is a young writer, from the UK, who's making a name for himself in the Horror and Thriller genres. And Animal Kingdom, from late 2011, is a fine example of taking an original idea and running with it. For reasons unknown, a day at the zoo turns deadly when the animals unite to start killing humankind. There are plenty of encounters between the survivors, trapped in the zoo's administration building, and the creatures that once made up the zoos exhibits. Given time, those trapped at the zoo learn that this is not an isolated incident, but is affecting all animals around the country, perhaps it's even a global catastrophe. One of the things I really liked about Wright's story was the character study that developed from placing a number of people from diverse backgrounds in a closed environment. Granted it seems a bit contrived, but it really facilitates the conflicts essential to the work and makes it so much more than us against the animals. You have a Father and Son, Joe and Danny, visiting the zoo as part of Danny's weekend of visitation with his Dad. There's also a zookeeper, a business man only interested in himself, a black gay man, a racist Scotsman, a religious nutcase and a romantic interest for Danny's Father, who is not without her own personal issues. At times the situations seem a bit forced, construed to advance the story, but make little sense outside that context. That aside, Wight did a good job of keeping the action moving and I found myself getting angry with and empathizing with his characters and the things that happened to them and the way they would deal with their situations. I think that's a true compliment to any writer. Although we never learn what caused the animals to group together and set out to kill all the humans, Iain has included several short stories after the main novel, all set in the same world as Animal Kingdom. Each short sheds light on some aspect of the main tale. Including one that offers a bit of an explanation of what happened that might have caused the animals to turn. Currently available as a paperback and for the Kindle from Amazon.com. If you are an Amazon Prime member you can borrow the book for free from the Amazon Prime Kindle Lending Library. Sometimes a book is unavoidable. First, my Grandson was in need of a credit in HS and was given the option of reading the trilogy and then doing a separate project for each one. He highly recommended the books to me, then the movie hype, so I figured I may as well read the book. Suzanne Collins, who has had some success as a writer for children's television has created an interesting dystopian society where the country is broken into 12 Districts of various resources, but all poor and citizens struggle to feed their families. Each year, the Capital, where wealth and luxury abound, holds a drawing from all of the 12 to 18 year-olds, selecting one boy and one girl from each District, to compete, to the death, in the Hunger Games. That's a rather simplified description of a somewhat complex process. The winner receives recognition for their District and a much more comfortable life for themselves and their family. The author does a nice job of fleshing out characters, imbuing both the main and secondary ones with enough attributes and personality to make them interesting in their own right. 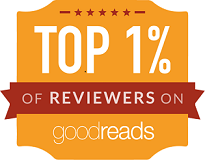 I chose to give the book four stars. It's not one of the best I've ever read, and in its category as a YA novel(which would include all the Harry Potter works) it's not quite to that level. However, I liked it well enough and any book that gets children reading deserves serious props.